Rescuers were called into action seven times in three days as a clutch of people got into trouble in waters around The Solent. Gosport & Fareham Inshore Rescue Service (GAFIRS) dealt with a host of emergencies including a boat that had run aground, several broken down vessels and even plucked dangerous debris out of the shipping channel. 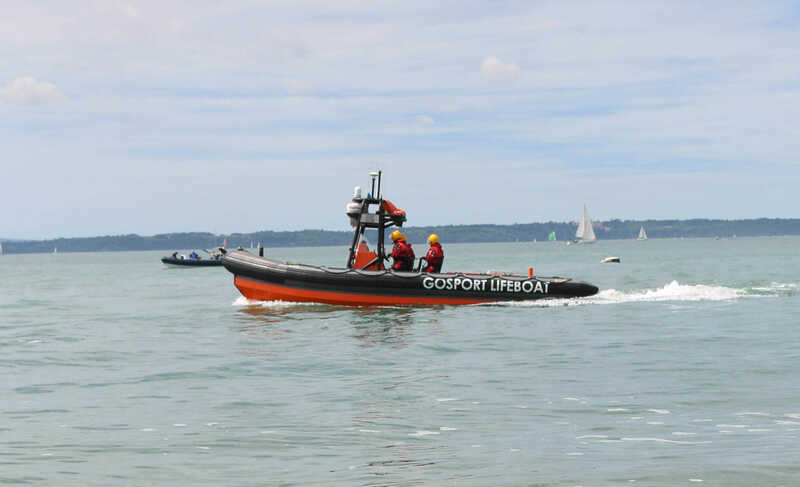 UK Coastguard first called upon Gosport’s independent lifeboat at Friday lunchtime (July 15) to reports of debris floating in The Solent, off Gilkicker. GAFIRS launched at 1259 and soon located part of a boat with two navigation lights still attached to it, floating near to Outer Spit Buoy. The crew recovered the debris and took it to shore. On Saturday (July 16), GAFIRS were called into action three times. The first was to investigate a red flare that had been set off near Gilkicker. A RIB had experienced engine difficulties and was adrift. GAFIRS assisted the owners and the vessel was eventually able to make its own way into Portsmouth Harbour. At 1307, GAFIRS were launched by UK Coastguard to assist a broken down jet ski off the hovercraft slipway at Lee-on-the-Solent. Fortunately, by the time the lifeboat arrived on the scene the 13-year-old male had managed to safely reach the shore. 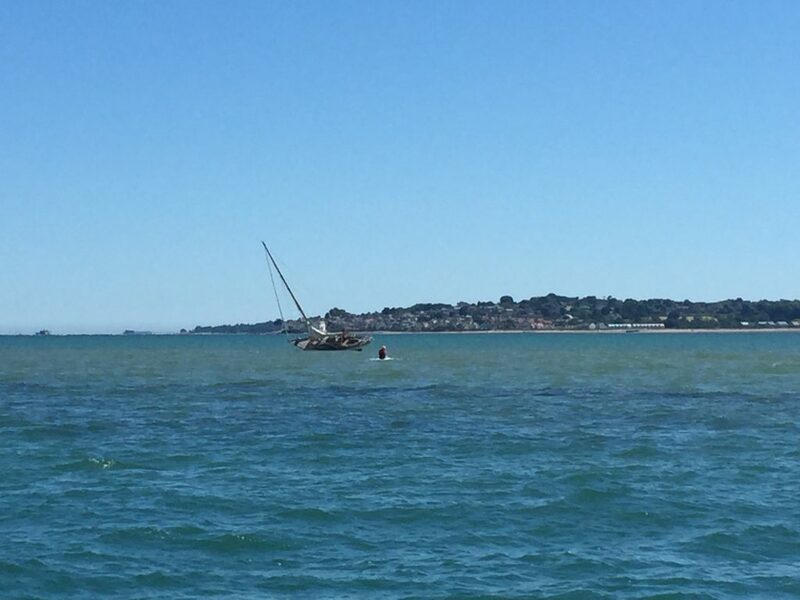 Later, while on routine patrol, GAFIRS discovered a yacht that had run aground on Ryde Sands. A crewman was sent on foot to check on the casualties and found them safe and well. They crew said they were happy to wait for the rising tide to refloat. On Sunday (July 17), GAFIRS were paged by UK Coastguard at 0400 to reports of a male in the water at Stokes Bay. However, police had already managed to assist the man. Later that day, GAFIRS assisted two vessels – both of which had suffered engine problems. The first was a sailing yacht that experienced engine failure off Browndown at 1300. GAFIRS safely towed the casualty vessel to Haslar Marina. Then at 1443, UK Coastguard tasked GAFIRS to take over a tow from Sandown Lifeboat of a small motor vessel that had suffered engine failure. 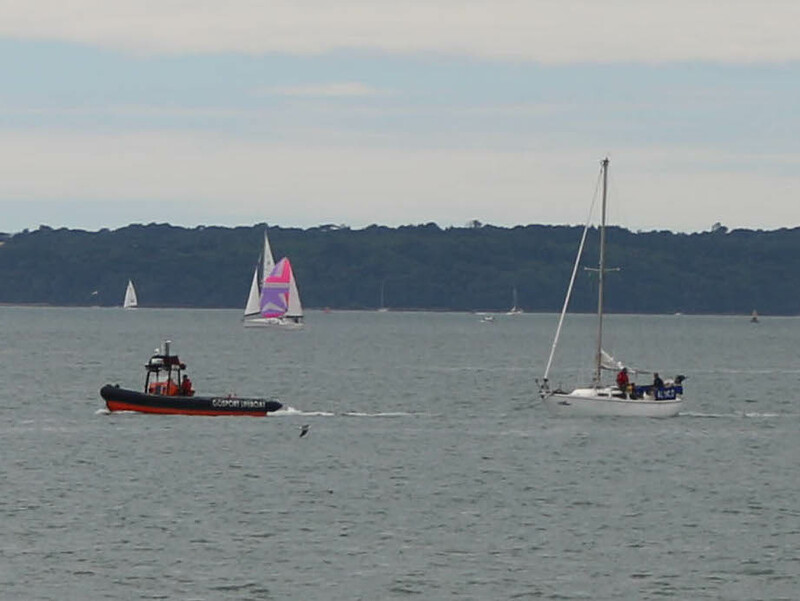 The craft, which had three men on board, none of whom were wearing lifejackets, was towed into Haslar Marina and the men safely returned to shore.